1. Improved web UI display. 2. Added Antenna Alignment function. 3. Now the https is enabled by default. - As always excercise caution when installing these releases in production / clients environments, perform tests prior to roll-out. - True to its heritage and in a class of its own TP-Link continues to make a complete mess in naming firmware releases, with this latest being titled: CPE210(EU)_v3.0_20190125, whereas the included files suggest: CPE210(UN)_3.0-up-ver2-2-0-P9[20190125-rel36261] - lack of a proper QA team is obvious at this stage after years at this, same applies to CPE510 f/w. - As per previous installations it is expected that this firmware can be also installed in previous gear versions, i.e. v3 firmware can be installed in v1 equipment. update: f/w now available for the CPE510v3, too - watch this space for more. Please do share your feedback with your setups and the new f/w below. Downgrade is possible, settings can be retained on upgrades (as usual) and even on downgrades (newer settings might be lost on a downgrade). Runs fine so far (tested only with two CPE210 for now). 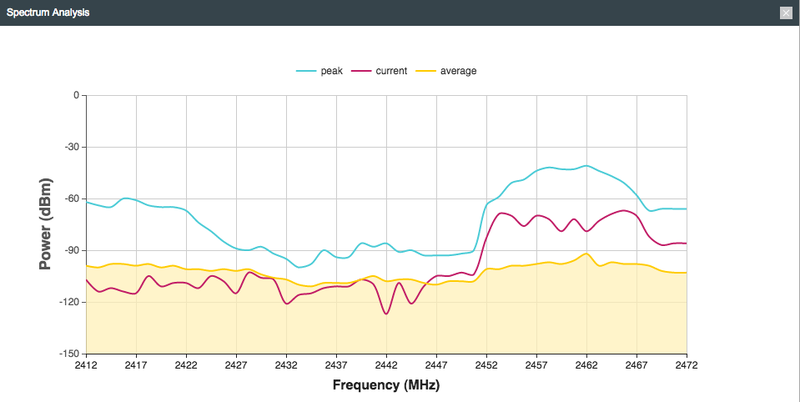 Spectrum analyzer for the 2.4 GHz band works again in CPE210. Channel width 5 MHz can be selected (now fits to the specs in the data sheet). Bonus fix: channel width 40 MHz-only can be selected, too. Web UI of two devices can be accessed simultaneously now in the same browser w/o terminating the other session. HTTPS is enabled by default now for the web UI. New Antenna Alignment function similar to AA in UBNT devices. Signal strength now is reported for both, horizontal/vertical polarized antennas or combined (as before). 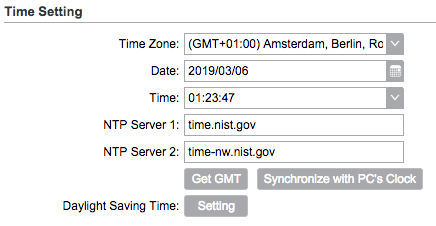 NTP server setting has default values (nist.gov). Very good job the Pharos division of TP-Link did with this upgrade! - Unquestionably some effort has been put into this release, however judging by the added functionality it's mostly considered polishing and keeping up-to-date (or rather playing catch-up) with vendors playing in the same field. - Since installing this and for the last 12hours I've been getting far more false DFS positives with release 2.2.0 compared to previous releases. I will be restoring to factory defaults and giving this another go in the next few days.